AppCoiner Can You Make Real Money – Get Paid To Play | Checking For A Scam, So You Don't Have To. I like to open my computer check out my business, and then I will just let the internet take me where it wants me to go. What I mean is I just Click on whatever interests me and I will stop when something really catches my eye. Today, I got there pretty fast, when I was looking at my Twitter page, it took just 3 clicks to come across AppCoiner I was intrigued. So I started reading and then did some digging because I can see how people would sign up for this opportunity, or is it. Let’s dig in and see what this is all about, and why It sounds like such a great opportunity especially to young people. We will see if AppCoiner can make you real money. Guarantee – 60-day money back. Chances are you own a smart phone or a tablet, in a lot of cases you own both. I bet when you are sitting home or at work or when you are just waiting like at a doctor’s office you might be playing with you are apps. Apps are a big business there are tons of them out there for iOS and Android. What AppCoiner tells you on there web page is they are going to pay you for testing and writing reviews for less popular apps in hopes of making them popular. Then when you do that you are going to be paid for your work. Not only is AppCoiner going to pay you, they are also going to let you download these apps that you are going to review for FREE. That’s what caught my eye was the promise of money and free downloads to the latest apps just not so popular latest apps. You can not find the owner of the company, I do know ClickBank is the retailer of the product. It’s really not a great sign when you can’t find the owners name. What is the reason for keeping it a secret are you hiding something? Let’s pull the curtain back and see what is going on behind the scenes. Is AppCoiner going to fill your pockets and load your phone or tablet with the latest apps. This is what we are here to find out. AppCoiner is basically affiliate marketing, they want people to join AppCoiner and market and promote AppCoiner and the apps of the developers that hire people from AppCoiner program. You are going to download the apps with special links, the links are your affiliate links so it tracks which member gets paid. The whole process of making money with AppCoiner is pretty simple. The next logical question is am I going to be able to make a bunch of money. You are going to have to know, or at least learn how to write a quality review. Because that is where you are making your money, and that’s from the reviews. They claim you don’t have to be an English Major to write these reviews, you just have to have basic English knowledge. But, you do have to send in your reviews to be accepted and they will send them back to be revised. Choose an app to test: You simply choose an app that you would like to test from the AppCoiner app review database. There are hundreds of apps to choose from, with more added daily. Write your review of the app: After you have tested the app on you are smartphone or tablet, you then login to your AppCoiner member’s account and write your honest review of the app. Get Paid: The AppCoiner program monetizes all of your app reviews for you automatically, all you have to do is keep testing more new apps and writing your reviews. The more reviews you write, the more money you will make. You can choose to be paid via check, direct deposit or Payoneer, it’s completely up to you! You have to sign up for your AppCoiner account, you need to set this up because this is where you will access the member’s area. The member’s area is where you will pick the apps you are going to download and then review. There is a one time charge to sign up for the right to get to the member’s area. When, I first went to the site the cost was $47 one time payment. Then they offered a special for $20 off so the one time payment was down to $27. So now you have your account and you can log into the member’s area. This is where you will be able to chose the app you are going to test and review. There are thousands of apps to choose from, Apple and Android. Now, you are trying to choose an app, how would I know what to pick? To tell you the truth if you want to make any money pick an app that is made by a popular creator. Chances are if you go that route you will have a better shot and chances are they will have fewer problems. Because, a lot of people will choose from the same creator because they like there stuff. Once you decide on the app you are going to use you click on it and you will see your affiliate link. This is the link you are going to use to make money. Anytime anyone clicks on your link and downloads the app or signs up for AppCoiner you will get paid. They want you to write a review, it has to be a very well-thought-out and comprehensive review. They are looking for a full scope of the app you can’t get away with a 2 line review. You must proofread it for spelling, grammar, and content. It really has to be mistake free and honest from your prospective good and bad. The thing is if it is full of spelling and grammar mistakes, and it is not a comprehensive review it will get rejected. Now you will have to redo it and that will take away from doing another one, plus if you figure how much time vs how much you are making it will be less. Now that you have your affiliate link, you have your content written and approved it is time to wait. What are you waiting for you ask? You are waiting for people to come and read your review. You want people to come to your review, you hope that the content you wrote is engaging enough to make them want to try the app or sign up for AppCoiner. Your readers will hopefully sign up through your affiliate link and then you will get paid. From everything I have read and the investigation I have done it really looks like anyone who likes to use apps can use this system. Because, you have so many apps to choose from I believe anyone could find something they would like. 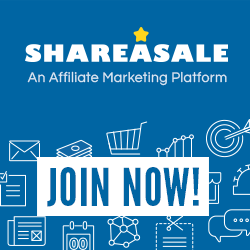 It might be an easier process for someone who has experience with affiliate marketing because these skills are going to be used with this system. But, as with anything else you can always learn this side of the business. This is buy no means a “Get Rich Quick” method, it is going to take time and patience, and a bunch of practice to make money with this system. I would have thought that you would get more tools to get your business off the ground. You do get some E-books and some videos, these will help you with the review process. They give you all the ideas of what you are going to need to put in your review, and what you are going to be looking for when testing the app. Of course as you might expect you are going to get some tips and tricks to advance your earning potential. You also, get an earning’s calculator it is going to give you an idea based on there predictions of how much you will earn based on how much time you will dedicate to the program. This calculator will give you your income broken down by week, month, and year. Of course, I feel that these figures might be a bit slanted to get you all excited about all the money you are going to earn. Also, you get a 60 day money back guarantee if you don’t like the system for any reason no matter how much money you have made you can get a full refund. The Bottom Line – Do I Sign Up Now? As, you have read there are some good points to the program. You get to play games and use apps for free the only thing is you do have to write a full comprehensive review about what app you were using so I guess that could take some fun out of it. You need to pay attention to all the aspects of the game or app. The point is that it is a job so I guess it is OK if there is some work involved. You have to write insightful and interesting reviews to get action and to get paid. This is affiliate marketing so having some degree of knowledge with affiliate marketing would be a help. I don’t really agree with having to pay to sign up for the program most if not all affiliate programs are free to join and you are representing there products. With AppCoiner as the affiliate you pay, as of right now $17 to join. And on the other end the app creator pays them a fee as well, I don’t know how much that is. There are some complaints about getting refunds, they do have a 60-day money back guarantee. There are also some complaints of accounts being closed with money in there account and the customer has had a tough time having the account reopened. Lastly the other issue that bothers me, who owns AppCoiner I can’t seem to find that out. Why are you hiding what is it that you don’t want us to know. That goes to creditable of the site, will they be around or could they close the door tomorrow? The fact that AppCoiner was started 9/29/2015 and been open for nearly 2 years goes in there favor. Thank you for visiting my site, if you have any questions or comments or just to let us know if you decided to sign up let us know at the bottom of the page. Previous Post:Phishing Scams / Craigslist – Phishing Scams??? Next Post:WahRev Review – WahRev Scam Or Not ? It would be worth your while to allow it to check your spelling and grammar for free. Thank you again for building this web site. You are right! This is a great program for anyone that has trouble with spelling and grammar. (I am one of the worst) If you are going to join App Coiner it will help you out. Because, of the fact that you have to keep fixing your review until it’s perfect. Thanks again for stopping by and for the tip! I am very glad that you enjoy my site and the reviews! I strive to put out the best reviews I can and keep them interesting to read.